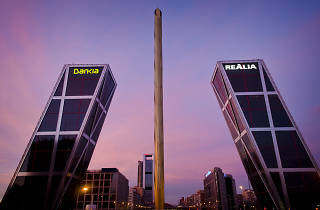 Although these skyscrapers are known by the name given to them by the original Kuwait business that began funding them, KIO, Kuwait Investments Office, the official name of these two inclined skyscrapers is ‘Puerta de Europa’, or ‘Door to Europe’. It’s formed by two towers with an angle of 15º from the ground and is more than 114 metres high with 26 floors. Both have a heliport and the construction of the two buildings resulted in Urbanor going to trial for fraud. 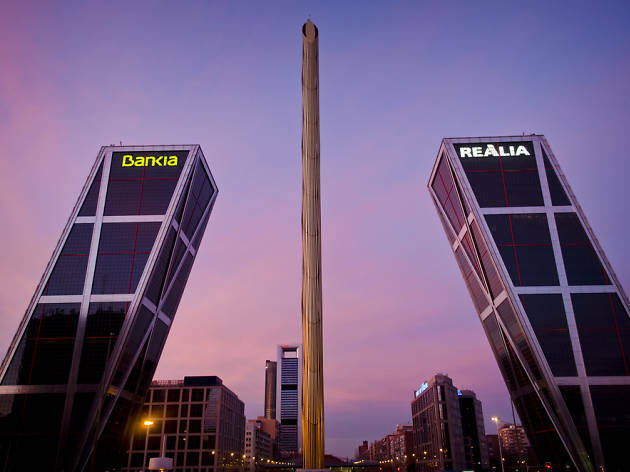 The left tower belongs to Bankia while the tower on the right belongs to Realia.